Last November, the National Hockey League named Constellation its official preferred energy provider during the official launch of a groundbreaking partnership between Constellation and the League. 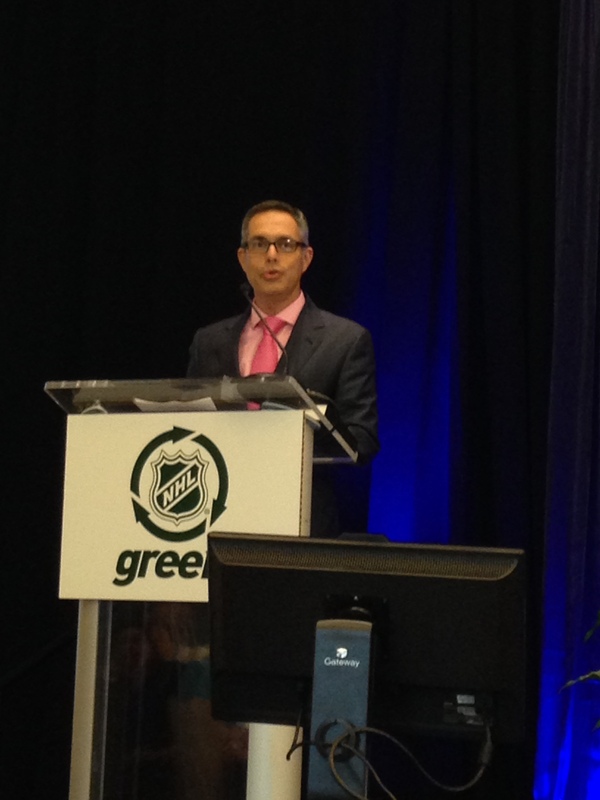 Since then, Constellation has been working with the NHL to conduct energy efficiency analyses and recommend energy management strategies for the League’s facilities, and also provide Renewable Energy Certificates (RECs) and Carbon Offsets to match the League’s estimated total carbon footprint – 550,000 metric tons – for the 2014-15 season. As the 2014-2015 hockey season has come to an end with a riveting Stanley Cup Final, there has been incredible interest in the initiative, which is serving as a model for other sports leagues. 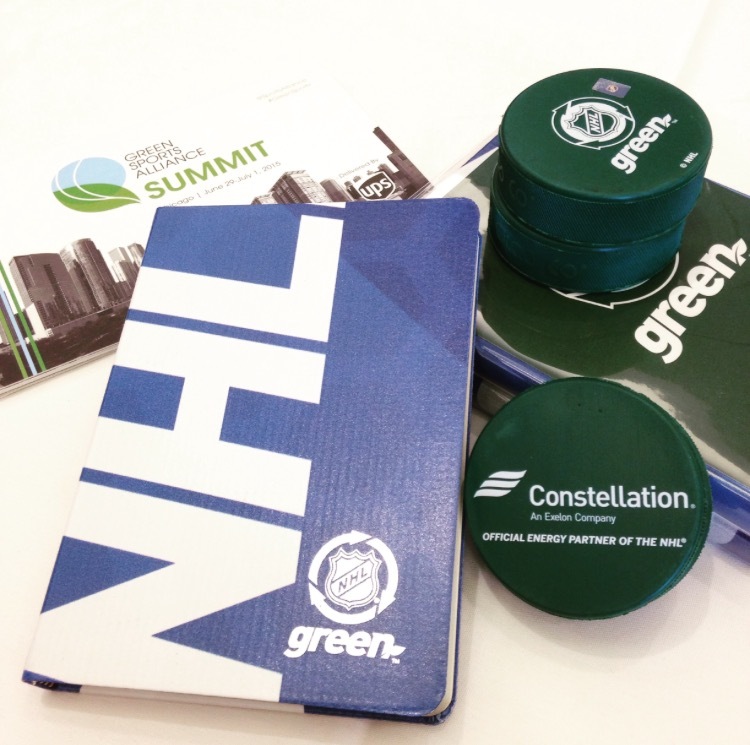 In addition to promoting efficient energy use through the League at key events like the 2015 Bridgestone NHL Winter Classic® and 2015 Honda NHL® All-Star Game, Constellation has had the opportunity to talk about the importance of this partnership at leading professional sports forums across the country and collaborate with global brands in dynamic new ways. Constellation also participated in the Intersport Brand Engagement Summit with some of the world’s most recognized brands and spoke about how Constellation is working with the NHL to engage the League’s individual clubs, extensive fan base and communities – all essential to helping reduce the League’s environmental footprint. 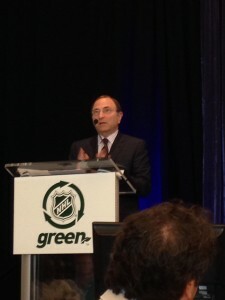 In this spotlight presentation, Bruce emphasized reaching the League’s numerous stakeholders, who are each essential in the successful reduction of the League’s environmental footprint, and showcased how this unprecedented relationship is not just changing the culture of professional ice hockey, but can be seen as a model for progress for other sports leagues. This week, Constellation capped the streak with an appearance at the Green Sports Alliance Summit where leaders in the sports industry will gather to focus on sustainability and greening in professional athletics. 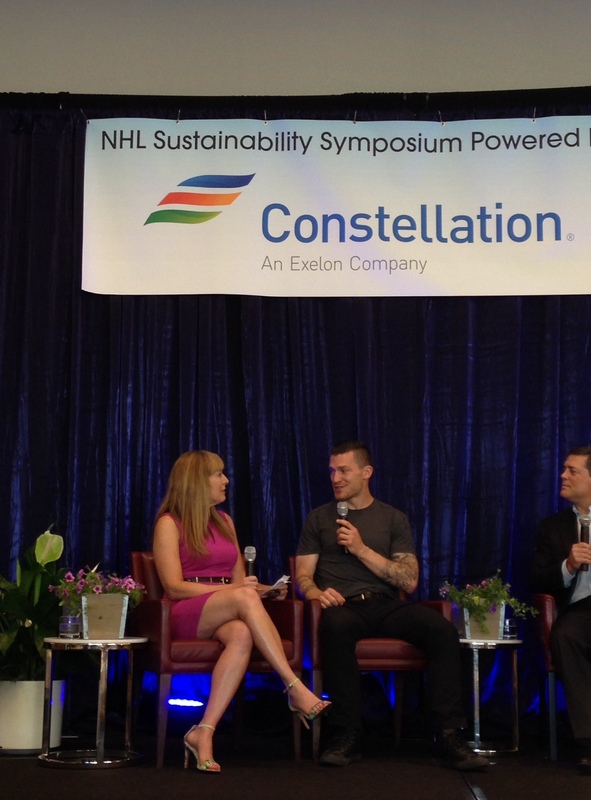 Kicking off the conference, the NHL and Constellation hosted a Sustainability Symposium to celebrate the League’s environmental efforts and showcase how NHL players, arenas and partners are working to become greener and reduce the league’s carbon footprint. Constellation Vice President of National Accounts, Andrew Singer, gave the closing remarks at the Symposium and challenged everyone in the room to take what they learned and implement it to improve performance and increase sustainability. Through our participation in these leading sports forums, it is clear that Constellation’s partnership with the NHL has opened the door for new conversations on the role of sustainability in sports business.